Christa Schroeder, the daughter of a single parent, was born in Hannoversch Münden, Germany, on 19th March 1908. After the death of her mother she moved to Nagold where she worked as a secretary. In 1930 she moved to Munich. After answering an advertisement she found work with the National Socialist German Workers Party (NSDAP). She later recalled in her autobiography, He Was My Chief: The Memoirs of Adolf Hitler's Secretary (1985): "Later I learned that I had been the last of 87 applicants. That the post was awarded to me, someone who was neither a member of the NSDAP nor interested in politics nor aware of whom Adolf Hitler might be, must have resulted purely from my being a 22-year-old with proven shorthand/typing experience who could furnish good references." Schroeder argued that she was never a Nazi: "I was told I had to join the Party since only NSDAP members could be employees. I suppose I went a few times to the big assemblies, but I felt nothing in common with the speakers or the masses and I must have appeared terribly stupid." Adolf Hitler become Chancellor of Germany in 1933 and Schroeder joined his Liaison Staff in Berlin. Hitler installed himself in the Radziwill Palace. According to Schroeder: "His study, the library, his bedroom and later, alongside it, Eva Braun's apartment were all on the first floor. Directly opposite the door to Hitler's study a couple of steps led to a long corridor, beyond which was the so-called adjutancy wing with the rooms for Hitler's aides. The first room was the Staircase Room (Treppenzimmer), where at least one of us would be permanently on standby, regardless of the hour, should Hitler need to give a dictation. Then came the rooms of Julius Schaub, Hitler's rather unprepossessing factotum, Dr Dietrich (Reich press officer), Sepp Dietrich (commander of SS-Leibstandarte Adolf Hitler, Hitler's personal bodyguard unit) and Hitler's chief adjutant, Wilhelm Brückner." Schroeder gradually got to know Hitler: "One day Hitler happened to pass the Staircase Room at teatime, saw us sitting there and asked if he might join us. This hour of easy chatter was so much to his liking that he later came to tea almost daily. The Staircase Room was a place where he felt unburdened and I always had the impression that what he said there came from a secret memory box which at all other times he kept locked shut. He would often recall pranks played in late childhood, for example, the time as a 12 year-old when he wagered his classmates that he could make the girls laugh during a religious service. He won the bet by intently brushing his non-existent moustache whenever they glanced at him." Christa Schroeder when she first started working for Hitler. Adolf Hitler also told Schroeder about his relationship with his parents: "I never loved my father, 'but feared him. He was prone to rages and would resort to violence. My poor mother would then always be afraid for me. When I read Karl May once that it was a sign of bravery to hide one's pain, I decided that when he beat me the next time I would make no sound. When it happened – I knew my mother was standing anxiously at the door – I counted every stroke out loud. Mother thought I had gone mad when I reported to her with a beaming smile, 'Thirty-two strokes father gave me!' From that day I never needed to repeat the experiment, for my father never beat me again." Schroeder became fairly close to Hitler: "I found Hitler's eyes expressive. They could look friendly and warm-hearted, or express indignation, indifference and disgust. In the last months of the war they lost expressiveness and became a more watery, pale light blue, and rather bulging. One could always tell his mood from his voice. It could be unusually calm, clear and convincing, but also excited, increasing in volume and becoming overwhelmingly aggressive. Often it would be ice-cold... Hitler's nose was very large and fairly pointed.... His teeth were yellow and he had bad breath. He should have grown a beard to hide his mouth." Hitler told her: "My nose is much too big. I need the moustache to relieve the effect!" 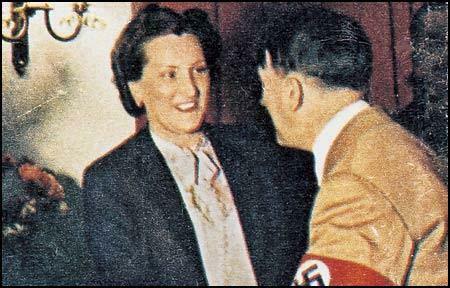 Christa Schroeder knew about Hitler's love affairs with Geli Raubal and Eva Braun. She claims that the only woman Hitler ever loved was Geli. "After the death of his niece Geli, Christmas was really a torture for him, and not pleasant for us either. It's true that he allowed a Christmas tree to be put in the corner of the hall, but Christmas carols were not sung." Geli's room was kept like it was at the time of her death and Anni Winter, the housekeeper, was the only one allowed into the room. Schroeder regarded Eva as a schemer: "When he no longer had much time for her because of the electioneering, she pursued him cunningly with suicide attempts. And of course she succeeded, because as a politician Hitler couldn't have survived a second suicide from someone close to him. I say it again: the only woman he loved and would certainly have married later was his step-niece Geli Raubal." Schroeder was a heavy smoker and Adolf Hitler constantly scold her about her habit: "He would start out with special reference to narrowing of the arteries caused by smoking. How awful a smoker's stomach must look. Smokers lacked consideration for others, forcing them to breathe in polluted air. He had really toyed with the idea of outlawing smoking anywhere in Germany. The campaign would begin by having a death's head printed on every cigarette pack." However, he seemed to be unaware that Eva Braun smoked: "If I should ever discover that Eva were secretly smoking, then that would be grounds for me to separate from her immediately and for ever." However, Reinhard Spitzy claims that Hitler knew Eva Braun smoked and that she had some privileges that enabled her to do what was forbidden to others: "She was allowed to sing, to dance, to paint her nails with red paint, and she was allowed to smoke a cigarette outside. Meanwhile, we had to go to the loo to smoke... Hitler had a very good nose, and it was forbidden to smoke. But Eva Braun was allowed everything." Hitler became very dependant on Christa Schroeder. 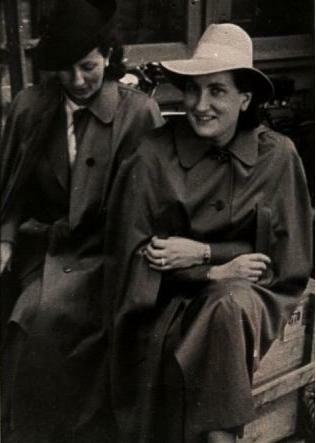 In 1938, she became engaged to Yugoslav diplomat Lav Alkonic. When Hitler refused to give his blessing to the liaison, Schroeder raised the possibility of leaving his employment. Hitler replied: "I would know how to prevent that." To protect Alkonic she broke off he engagement. A friend later commented: "In 1939 she requested Hitler's blessing for the impending marriage, this was sadly denied her by him. So to please him or perhaps there were other reasons she broke off the engagement, and this I suspect would cause her emotional stress, for the rest of her life." Christa Schroeder with Adolf Hitler. One of her responsibilities was taking dictation: "As a rule Hitler would be standing at or bent over his desk, working on the punch lines for a speech, for example. Often he would appear not to notice my presence. Before the dictation I would not exist for him, and I doubt whether he saw me as a person when I was at my typist's desk. A while would pass in silence. Then he would close in on the typewriter and begin to dictate calmly and with expansive gestures. Gradually, getting into his stride, he would speak faster. Without pause one sentence would then follow another while he strolled around the room. Occasionally he would halt, lost in thought, before Lenbach's portrait of Bismarck, gathering himself as it were before resuming his wandering. His face would become florid and the anger would shine in his eyes. He would stand rooted to the spot as though confronting the particular enemy he was imagining. It would certainly have been easier to have taken this dictation in shorthand but Hitler did not want this. Apparently he felt himself as if on wings when he heard the rhythmic chatter of the typewriter keys." After the outbreak of the Second World War Hitler changed his approach to making speeches. He told Schroeder: "I prefer to speak, and I speak best, from the top of my head, but now we are at war I must weigh carefully every word, for the world is watching and listening. Were I to use the wrong word in a spontaneous moment of passion, that could have severe implications!" Hitler used to ask her opinion of his speeches. He once told her: "You are the only person I allow to correct me!" In her autobiography, He Was My Chief: The Memoirs of Adolf Hitler's Secretary (1985) she recalls how in 1943 Henriette von Schirach, the wife of Baldur von Schirach, complained about the treatment of the Jews: Hitler replied: "Be silent, Frau von Schirach, you understand nothing about it. You are sentimental. What does it matter to you what happens to female Jews? Every day tens of thousands of my most valuable men fall while the inferior survive. In that way the balance in Europe is being undermined... I am committed by duty to my people alone, to nobody else!" Schroeder commented that on another occasion Hitler said: "I am totally indifferent to what the future will think of the methods which I have to use." Dr Karl Brandt, who was later convicted of war crimes, suggested that Schroeder was one of the few people close to Adolf Hitler who raised questions about Hitler's behaviour: "Clever, critical and intelligent, she had a turnover of work which no other secretary matched, often spending several days and nights almost without a break taking dictation. She would always express her opinion openly... and in time became sharply critical of Hitler himself. Her boldness undoubtedly put her life in grave danger." Schroeder argues that Hitler's health deteriorated during the war. "The knowledge from 1944 onwards that he was no longer master of his own body was a heavy burden. When surprised visitors saw his trembling hand, he would cover it instinctively with the other. Yet to the end he remained master of his emotions. Should bad news arrive during a private conversation the only clue would be a movement of his jaw. I remember him receiving the report about the destruction of the Möhne and Eder dams, which flooded much of the Ruhr. As he read it his face turned to stone, but that was all. Nobody could have gauged how deeply the blow had struck him. It would be hours or days before he would refer to such an event, and then give full vent to his feelings." On 20th April, 1945, Adolf Hitler ordered Schroeder, Dr Theodor Morell, Albert Bormann, Dr. Hugo Blaschke, Johanna Wolf, Admiral Karl-Jesco von Puttkamer and several others to leave Berlin by aircraft. The following month she was arrested by the US Army Counter-Intelligence Corps (CIC). 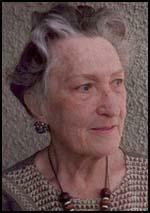 An US Army intelligence report on 22nd May, 1945, stated that: "Mr Albrecht… interrogated her. She was rather stupid, dumpy and an ardent Nazi." Schroeder later recalled: "After the interrogation was over, Lt Albrecht...had a very friendly conversation with me.... I expressed regret that my whole life, all the years, had been for nothing." She was originally considered to be a war criminal but was later reclassified as a collaborator and released days later, on 12th May 1948. After the war she worked as a secretary in Munich. 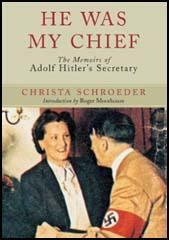 She retired in 1967 and later published her autobiography, He Was My Chief: The Memoirs of Adolf Hitler's Secretary (1985). Christa Schroeder, who never married, died aged 76, on 28th June 1984. I found Hitler's eyes expressive. They could look friendly and warm-hearted, or express indignation, indifference and disgust. In the last months of the war they lost expressiveness and became a more watery, pale light blue, and rather bulging. One could always tell his mood from his voice. It could be unusually calm, clear and convincing, but also excited, increasing in volume and becoming overwhelmingly aggressive.... Hitler's nose was very large and fairly pointed. I do not know whether his teeth were ever very attractive, but by 1945 they were yellow and he had bad breath. He should have grown a beard to hide his mouth. Hitler set great store on hygiene. He bathed daily, often several times a day, particularly after meetings and speeches, from which he would return sweating. Harsh and inflexible as Hitler could be with others, he did not exempt himself. He would reject tiredness and would call upon endless reserves of energy. No wonder that the trembling left hand was such an embarrassment to him. He (Julius Schaub) had rather staring eyes, and because some of his toes had been frozen in the First World War, he sometimes walked with a hobbling gait. It may have been this disability that made him so cantankerous. Always suspicious, and full of curiosity into the bargain, and inclined to give a wide berth to everything that wasn't congenial to him, his popularity in Hitler's circle was limited.